With so many people entering drug treatment in the US today, it can often be a challenging a difficult process. How do you know when you are selecting the right program especially when you are going out of state and cannot tour the program that is not near your area? We have provided ten steps to ensure you or your loved one finds a program to meet your qualifications. Status shows that in fact, one in ten have had treatment for substance abuse rehabs five or more times before. When families are searching online for an addiction treatment provider, it can be very hard in understanding what to look for, especially if this is your first time searching. We have created a basic knowledge and understanding what to search for and how to know if this is the right fit for you and financially affordable as well. We have taken all of our expertise in providing you a brief 101 on what to ask and look for when it comes to finding substance abuse treatment options. I have found through the years, it is important to look for JCAHO, which is the Joint Commission on Accreditation of Healthcare Organizations. They recently just changed their name to just The Joint Commission. They have accredited over 21,000 healthcare organizations to ensure the highest quality of care standards. Another is CARF known as the Commission on Accreditation of Rehabilitation Facilities. These two are currently the reputable organizations holding facilities accountable in the services provided, this does not guarantee the rehab treatment center will provide quality care, but evaluates the drug rehab standards are compliant. With the heavy arise for heroin-addicted patients or alcoholics, it is necessary to arrange medical stabilization. When looking at a drug addiction treatment provider, it is important to ask if they have a medical detox program. You can ask about their medical detox protocol and what medication will be used for stabilization. You also want to find out how long is the length of stay in detox will be. If the program does not have medical detoxification unit, then what is their approach or affiliates they use to ensure you will be medically stabilized. What is the entire length of stay in the drug or alcohol treatment program? 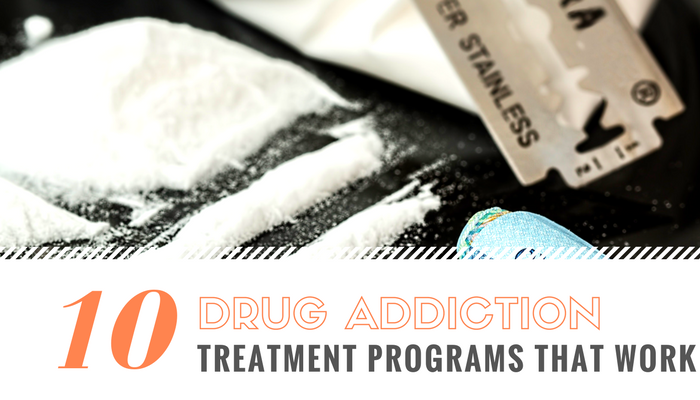 Treatment varies depending on the program. Some programs can be 28 days up to 90 days. It is important when searching programs to ask this question because insurance typically pays 30 days of treatment, but some programs offer 90 days step down with insurance. When verifying your insurance with a facility you need to know the length of stay and if they can transition down with the insurance to help offset cost associated. Also you should find out if it a 90 days program will there be additional fees incurred if you or your loved one stay longer and what is the self-pay rate for the additional months to stay in long-term treatment. If you have been to treatment in the past and having continued struggle with your recovery, its best to look into a long-term program to help you stay on the path to recovery. Studies show that a long-term program of 90 days can help benefits the success towards a lifestyle of recovery. Not all programs are a one size fits all type of facility. It is important to find out about their staffing and professionals helping treatment you or someone you care about. Usually, you can identify the clinical team on the company’s website to see who is involved with the program. This can help give you a better understand that the provider has the medical and/or clinical team necessary in helping you. Smaller programs will have fewer clinicians versus programs with over a 100 beds would have a larger staff, not to say any is less in care than the other, but a good point to look at when searching. Smaller programs can be more one on one then a bigger program that can cater towards individualized treatment tracks. It is all based on personal preference. How many individual sessions will I get per week? Why you should ask everyone this question. Most programs offer one individual session a week, but some programs offer two individual sessions a week with an open door policy if they need additional support for the week they can take advantage for an additional session. Individual sessions give the individual seeking treatment the ability to work on personal one on one issue and learning new techniques to help support recovery and achieving goals. It’s a great added benefit in knowing that you will have that additional support versus once a week. With thousands of options all across the world, it can be hard to decide on a facility that is going to meet your needs. Location can be important, for some who have never enjoyed the beaches, would not be receptive to a program in California or Florida, but maybe a treatment program in Utah in the wilderness. There is so many varieties to meet your needs from love of horses, to mountain climbing, to relaxing by the beach. You need the environment to be conducive to help you on the path. You may be staying longer than expected with aftercare in that area after treatment or you may be returning home and needing a support group for when you return. Location is an important part of taking a break from life to find healing in a sanctuary type of a place to feel comfortable to be receptive to treatment. When a facility verifies your insurance policy, it is a great train of thought to not just settle for the first program. Some programs will claim they accept insurance to only find out they do not and you get a bigger bill later. Or other programs will tell you, your insurance doesn’t work and you will have to pay $25,000 for you to come into the program. If this is the case, it is best to contact your insurance carrier to see which programs your insurance will accept. You can also go to Counseling Finder and search by your insurance to verify programs that can accept your insurance. There is always a way to find a program that will accept your insurance and not be trapped by a bait and switch where you are required to mortgage your home to pay for treatment. There is no cure for alcoholism or substance abuse addiction. We would never recommend that you mortgage or take loans you can’t afford to pay for treatment because there is no guarantee in recovery. It is up the individual seeking treatment to receive the tools to help and maintain once they leave treatment. This is the tough part, but there are great programs that are in or out of network with your insurance that can be able to help without coming out of pocket. Just keep in mind, if you do have a deductible you may be required those fees. Do the research. When speaking with a facility, this is another great question to ask is about their aftercare program. Do they offer an aftercare program or will they make the recommendation for a step-down program in the area or transitioning home? Some programs will have a step down from inpatient treatment to outpatient with housing, and then transitional sober living. 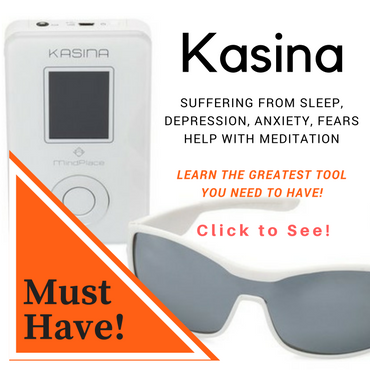 This varies from program to program depending on your needs. They can also provide you with resources upon your discharge summary and recommendations by the facility. Feeling comfortable with your choice is very important. After you have done all of the research and feeling great about your decision can help inspire you to be ready to do the work. There is no shortcut in receiving treatment, it is up to you to engage in the program, being present and involved to get the most out of your stay to help you towards a life of sobriety. What kind of results should you expect after Treatment? There is no guarantee or magic pill that is going to cure you or even a book you read that will cure you of substance abuse. What treatment can help and teach you is that you can have a life without substance. Finding out why you started using in the first place and how to work on triggers along with prevention from abusing substances. It all matters on the work you do during treatment and the work you continue to do after treatment to have a successful life without drugs or alcohol. With so much information online it has become often a difficult process in searching for a program that can help you or your loved one find the tools necessary to stay away from substance abuse. We created this guideline for people to understand that you do not have to accept the first offer or be pushed to a program that is not clinically appropriate. We at Counseling Finder have created a way for you to search verified providers that can help you find a treatment program for inpatient or outpatient depending on your needs. We also give you the flexibility to choose which area you will like to be in and to find all levels from inpatient to outpatient treatment, to finding counselors or therapists for continuum care after you have finished treatment. We believe that just because you finished treatment does not mean it is a cure, but a starting point to maintaining a life without substance. To start searching for a counselor visit www.counselingfinder.com or contact us at 800-517-2241 to learn more about your options.